There are more than 400 wildlife sanctuaries and 98 national parks in India. 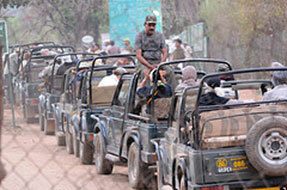 Further, recently the count of the tiger reserve increased to 42. These figures make it quite clear that India is a home to varied wildlife species that bud in prosperity at the sanctuaries, national parks and reserves. Some of the famous national parks and wildlife sanctuaries that are acknowledged for preserving the rare fauna and flora species are discussed ahead. 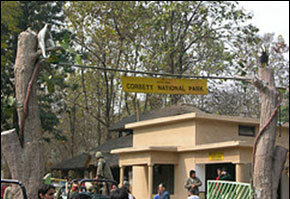 Being established in year 1936, the Corbett at Uttarakhand is the oldest national park of India. This national park is known for conserving the about to extinct tigers populace. Other animals that one can notice at Corbett include Leopards, Cheetah, Rhesus Monkey and various birds as well as reptile species. Mainly popular for preserving the highest density of Mangrove forests, the Manas Wildlife Sanctuary, Assam is among the World Heritage Sites of UNESCO. Further, the Mangrove forest this sanctuary serves as a unique habitat for a considerable number of tigers. Other endangered species that find their home in Manas National Park include Indian Rhinoceros, Indian Elephants and Bengal Florican. Situated in Gujarat, this is a splendid national park to visit. This is among the rarest national parks that offer a natural habitat for the Asiatic Loins. The rocky hills along with various rivers form a perfect ambience for the proper growth of wildlife. Cheetah, Tigers, Gaur, Hog Deer and Leopards are a few other fauna species found in this national park. Located in Karnataka, this is one of the most beautiful wildlife sanctuaries in India. The Western Ghats and Deccan Plateau serve as the lush green backdrop for the sanctuary. 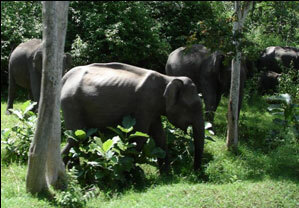 Further, the Asian Elephants form the major attraction of Bandipur. In addition to the Elephants, Deer, Tigers and Peacocks add to the wilderness of the place. 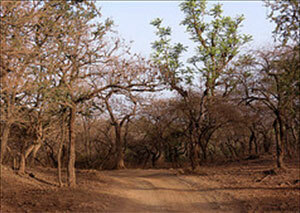 The Bandhavgarh National Park is situated at the heart of India, Madhya Pradesh. The park is known as one of the well maintained tiger reserves in India. Perhaps this is why this national park is among the top reserves that fall under the Tiger Project. 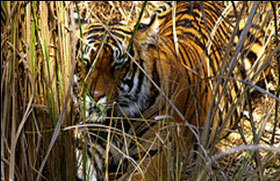 Further, various species of mammals, reptiles and birds find their habitat in the Bandhavgarh National Park. The wilderness of the Kanha National Park inspired the great Rudyard Kipling for his best seller, The Jungle Book. Located in the beautiful state of Madhya Pradesh, this is among the most popular national parks in India. Moreover, this park serves as a dwelling for the near to extinct species of Swamp Deer, popular as Barahsingha. Other animals that stay at Kanha are Tigers, Black Buck, Elephants and leopards. Spread across an area of around 429.96 square kilometers, the Kaziranga National Park is one of the renowned World Heritage Site of UNESCO. Situated in Assam, this park preserves the largest populace of rare One Horned Indian Rhinoceros. 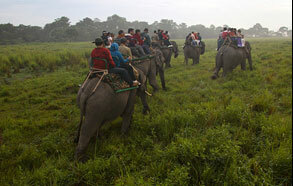 There are also various other birds and mammal species that enjoy their stay at the Kaziranga Park. 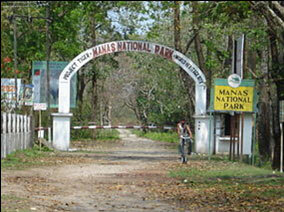 As mentioned above, the count of national parks and wildlife sanctuaries in India is very high. Thus, it’s quite hard to mention all the names in a single piece of article. However, this glimpse of a few renowned national parks of India portrays that the land preserves wildlife species of various kinds under one roof. A wildlife lover would always look for a chance to get lost in the vivid wildness gifted by the national parks, reserves and sanctuaries of India. Jessica Frei is a wildlife enthusiast and a blogger too, she likes to travel different national parks and wildlife sanctuaries all over the globe. She is currently in India on her wildlife tour. In this article she is sharing about different wildlife species in the Indian wildlife sanctuaries.